Breathing problems plague millions of people, and nighttime breathing disturbances are particularly difficult to deal with. If you aren’t breathing properly, it can be hard to sleep, and, even if you do sleep, interrupted breathing may cause problems you are not even aware of. It could even cause problems with your jaws, and leading to painful headaches and other symptoms. How are your jaws are connected to your breathing? Your jaws are responsible for opening your mouth so that you can eat, speak – and breathe. When nighttime sleep is interrupted by nasal congestion from a cold or allergies, your jaws need to keep the air passageways open so that you can breathe through your mouth. If this situation continues or happens frequently, the connected system of your jaws and air passageways can become disordered. TMJ can even cause symptoms involving your hearing and vision, like ringing in the ears or floaters in your field of vision. The key to easing jaw pain and keeping your air passageways open through the night is correct jaw positioning. Dental treatment can accomplish this in one of two ways. If your teeth are healthy and you have a good bite, you can experience better breathing at night and relief from TMJ symptoms with a dental appliance called a splint. A splint is a mouthpiece that is custom fit to you. When you wear it, your jaws are gently guided into optimum position for free breathing. A splint can be used to treat sleep apnea or to relieve jaw pressure and ease the symptoms of TMJ disorder. If your problems are caused by a bad bite, orthodontic treatment to correct your bite can offer permanent relief from symptoms. Chicago dentist Dr Ira Shapira is equipped with the knowledge and skills necessary to identify the source of your problem and help you to make a decision on treatment options. Call us now to set up a consultation appointment to discuss your breathing problems and determine if TMJ treatment could help. This is an unusual presentation. Most denture problems are related to overclosure and disturbances to Trigeminal nervous system. They usually respond well to treatment. I want to know if any thing could help me get better with my illness that I been suffer a month now. I been having a hard time to sleep and couldn’t breathe through out the night. I heard my jaw pop when I yawn or eat also problems with my ear and my headache and neck pain. I have heart burn through my back n feel chest tightness. It make me very stress out for 1 month now. You need to be checked for coronary problems and problems with sleep apnea. The chest tightness could be related to your heart. The heartburn could be related to gastric reflux. The jaw problems and breathing issues are easy to deal with after serious medical problems have been ruled out. I have a orthodontist that is wanting to do visaline then the splint I am having very bad pain in my jaw upper teeth and ear will that help or not? You should first eliminate all or most of the pain before starting orthodontics. If the orthodontics sets off much more severe pain there may be now way to reverse it. 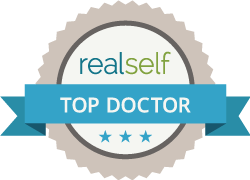 If you have pain a good way to determine if you have the right doctor is to see how well he or she can eliminate your pain. I have a brace with upper teeth only for 3 months now and my jaw is hurting and painful extending from my face sometimes neck. Is it because of my brace? Is it dangerous to only have a brace from upper teeth? It’s like my upper jaw is hanging. Both upper and /or lower appliances work well for protecting teeth. If you are only wearing at night an upper is more stable. Patients who deal with pain during the day are usually better off with a mandibular (lower) appliance. Pain should be eliminated by the appliance or at least greatly reduced. I think a better diagnostic work-up is needed. probability) proximately due to or the result of the Veteran’s service connected condition. OSA is characterized by recurrent, functional collapse during sleep of the velopharyngeal and/or oropharyngeal airway, causing substantially reduced or complete cessation of airflow despite ongoing breathing efforts, which leads to intermittent disturbances in gas exchange (eg, hypercapnia and hypoxemia) and fragmented sleep (Edwards BA, Wellman A, Sands SA, Owens RL, Eckert DJ, White DP, Malhotra A. Obstructive sleep apnea in older adults is a distinctly different physiological phenotype. Sleep. 2014 Jul 1;37(7):1227-36.). Based on this explanation, the presence of TMJ dysfunction would not cause these physiologic changes that would cause OSA. 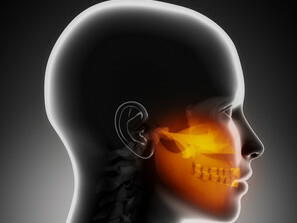 Also, Based on this examiner’s review of current peer-reviewed clinical literature, this examiner could not find any literature that reports any objective evidence that any of veteran’s service-connected disorder of TMJ dysfunction causes or has a causal association with the condition of Obstructive Sleep Apnea. veteran’s onset of symptoms that are correlated with OSA occurred prior to the event in 1985 that is reported as the cause of veteran’s TMJ dysfunction. Hence, Veteran’s condition of obstructive sleep apnea was less likely than not (less than 50 percent probability) proximately due to or the result of the Veteran’s service connected condition of TMJ Dysfunction. I would like your opinion thank you, also the spelling is his original typing. You can send hime this paper fron the NHLBI or National Heart Lung and Blood Institute. I felt jaw discomfort after giving birth to my son. It felt as if i couldnt close my mouth or it wasn’t aligned or something. Now 3 months later i keep waking up cause im not breathing. The side of my face hurts, i have had headaches for the passed few days. What can i do? Ibprofen? Most women no longer do diaphragm breathing after pregnancy. In the 9th month before the bsby drops it becomes difficult to brathe and tthey become paradoxical breathers. First, I would suggest learning how to go back to normal breathing patterns.